These past few weeks have been a blur – so many tests, so many questions, and even more unknowns. In the first couple days ladybug was nearly whisked off for surgery for signs of pneumatosis intestinalis . (air within the wall of the small or large intestine which could cause perforation) No one knew how it happened, or if it could happen again. Luckily the cocktail of antibiotics worked, surgery was no longer needed, and feeds were slowly reintroduced. The next concern was possible seizures; one doctor said she had no doubt – it is absolutely epilepsy and we would begin treatment the following day. The following day a new doctor started the rotation and wasn’t so sure. He decided that he wanted a new Video EEG done to compare with the one we had this past October. Which makes sense. An order was put in for a video EEG to be done urgently. Herein lies the issue – the children’s hospital only has one video EEG machine, is short-staffed, and overbooked, so urgent meant a 1 year wait. Aside from being outraged that my daughter who was obviously having seizures was once again unable to get a much-needed test for a proper diagnosis, for the first time I felt at a loss. Should I push to be referred to Sick Kid’s hospital in Toronto or London? Thanks to Dr. Ajay Nayar, I didn’t have to. His compassion and persistence enabled us to get a regular EEG the next day. The test couldn’t have run more smoothly. 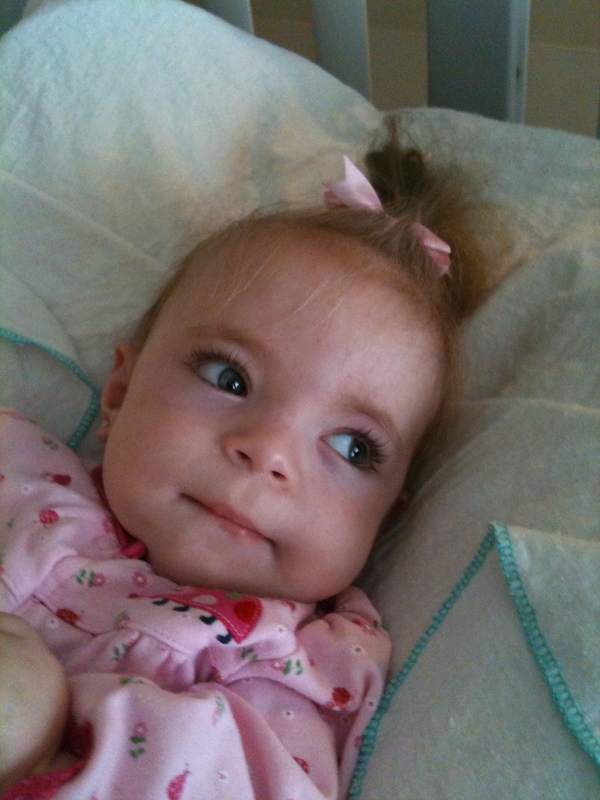 Ladybug did every single thing that concerned us the most, all of which was caught on the EEG. After 2 hours we headed back to the room and waited. The neurology resident came up and said that the team would like to come and speak to me about the results the following morning. The next morning I waited – 09:00, then 09:30, then 10 still waiting, watching the clock, peeking into the hall to see if they might be coming. Finally at 10:30 The neuro convoy arrived. Dr. Nayar had asked me earlier to be paged so he could join the meeting and get a better idea of what was happening. He is the type of person whose mere presence puts you at ease. You see when you have all these doctors consisting of clerks, residents, and the big guru surrounding your daughter’s bed, it becomes quite overwhelming. I can’t begin to explain how reassuring it was to have Dr. Ajay Nayar there for us. He, like Dr. Brian Levy continuously went the extra mile to care for my daughter and exudes empathy, compassion and understanding. I was told that ladybugs EEG had improved somewhat from October. My translation is that it had transitioned from a constant chaos to a more controlled chaos showing signs of maturation in the brain. There was definitely seizure activity noted all over her brain, but seemed to be more focused in the back. I was given the option of putting her on an anti epileptic medication, the side effects could include but are not limited to – Kidney stones, liver failure, cognitive impairment, and the inability to regulate body temp. However, what they couldn’t tell me was if this medication would be able to help my baby. I couldn’t justify opening up Pandora’s box to a plethora of new and potentially deadly side effects for anything less than an absolute. I decided against starting her on these meds. Right now the seizures aren’t putting my ladybug in danger, and with no real proof that it would make a difference ,why take the chance. We’ll be keeping a watchful eye on ladybug to see if anything changes, as for now, I am enjoying having my beautiful, increasingly happy baby girl home. Glad to hear you are home sweet home!! Keep strong, sending our love from the mountains!! Thank you kindly Tonya. We’re so happy she is home too. I can’t believe how big your Ava is now. Where has the time gone.